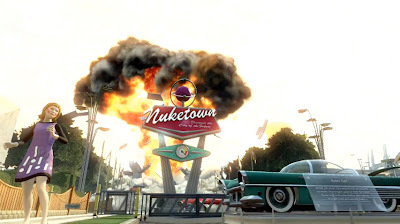 Recently, Activision released a new trailer for their upcoming title, Call Of Duty: Black Ops II looking at their new map Nuketown 2025 and all the fun you can have on it! Nuketown 2025 is yours FREE when you pre-order Call of Duty: Black Ops II. Download the bonus map during launch week and you'll also get access to Double XP Launch Weekend, November 16-18.